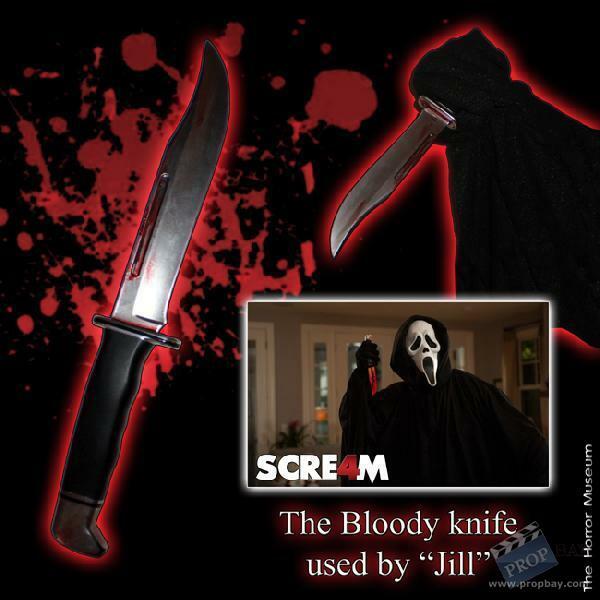 This bloody knife was used by "Jill" during the climax of the movie. She uses it to threan Sidney as well as the set-up just before stabbing Charlie. The knife is plastic and was custom made for production. Contrary to popular belief, this is NOT a Buck General. It is very similar but there are modifications done to it. Added: 12-07-2011 - Viewed: 3085 times. » Visit The Horror Museum's website!